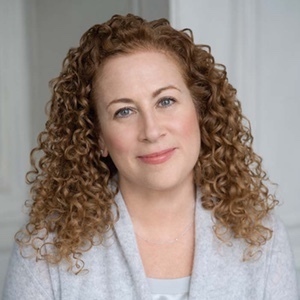 Exploring the dark history of America's eugenics movement, Picoult sneaks in a ghost story… a gratifying blend of gothic melodrama and social critique… A balance of suspense and science makes for a memorable ghost tale. 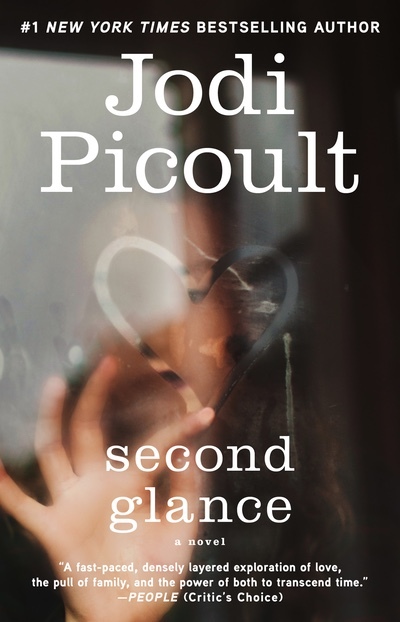 Second Glance expertly entwines a powerful drama of the heart’s redemption and the disturbing real-life history of the Vermont eugenics project of the 1930’s in a love story that crosses time and worlds. Ross Wakeman is a ghost hunter who's never seen a ghost-all he's searching for is something to end the pain of losing his fiance Aimee in a car accident. He tried suicide-any number of times. Now Ross lives only for a way to connect with Aimee from beyond. Searching the site for signs of the paranormal, Ross meets the mysterious Lia, who sparks him to life for the first time in years. But the discoveries that await Ross are beyond anything he could dream of in this world-or the next. Expertly entwining a powerful drama of the heart's redemption and the disturbing real-life history of the VT eugenics project of the 1930s, Second Glance asks if truth is always something that can be measured… and if what can be measured is indeed always true. Your new book, Second Glance, delves into a very ugly chapter of American history and one that is probably not well known: Vermont's eugenics project of the 1920s and 30s. Tell us about this project and how you learned about it. I have to admit, I learned about it by accident. I was intent on writing a ghost story, and my search for a fictional ghost led me to the Abenaki Indians in Vermont, who often protest development because they allege the land is an ancient burial ground. I started doing a little research on the Abenaki, and found an article from the Boston Globe that discussed the Vermont eugenics project and its effect on the Abenaki, as chronicled in the thesis of a woman named Nancy Gallagher. The more I read, the more stunned I was - in the 1920s and 30s in Burlington VT, a bunch of very progressive thinkers - doctors, lawyers, university professors - decided to preserve the state's rural charm by getting rid of the people they didn't think fit the bill… namely, people who weren't white, Protestant Yankees. They began by organizing a survey that mapped out extended 'degenerate' families they felt were a drain on the economy, due to repeat stints in poorhouses and mental institutions and prisons. Often, these were Abenaki Indians, French Canadians, and indigent folks. Eventually, a law was passed that supported voluntary sterilization of these individuals. Unfortunately, 'voluntary' was not always a matter of free will - in many cases, only two doctors had to sign off on a case to make it happen. Hundreds of Abenaki Indians and others were sterilized before funding dried up in the late 1930s - thanks to the Nazis, who credited American eugenics programs with laying the groundwork for their own plans for racial hygiene. Well, reading this now, you probably feel a bit like I did - shocked that this happened only 70 years ago, shocked that it happened in America, and shocked that I didn't know about it before. But what really resonated in me was that it continues to happen: today's debate over mapping the human genome and cloning and gene replacement therapy addresses many of the same issues that were raised by scientists who supported eugenics years ago. I wanted to explore the idea that all sorts of things come back to haunt you - including history. And I wanted to show that the scientists of the 1920s and 30s were not evil Dr. Frankensteins, but rather progressive thinkers who truly believed they were doing the right thing at that moment. Yet at the same time I wanted to remind people that just because science is measurable and verifiable doesn't mean it's something we should automatically believe in. When I was doing my research, I found many prickly people. From historians who worried about reopening this can of worms, to Abenaki who wanted to know why, as a white, I thought I had the right to tell this story - I wasn't always sure that I was doing the right thing. In the end, I have always believed that the job of a writer is to make people question their beliefs… and while I am not judging either the eugenicists or the Abenaki in this book, I think people deserve to know what happened… even if it's been coated in a fictional tale. I did not tell this story for the shock value. I told it because I had to. How has the state of Vermont kept these eugenics projects a secret for so long? Were similar projects conducted in other states? I wouldn't say that Vermont was 'hiding' these projects. I think they just sort of fell by the wayside. Once funding dried up, there was no one championing eugenics before the state legislature. And after World War II, I imagine there was a certain discomfort in discussing what had gone on. At any rate, the genealogy charts of degenerate families and the paperwork were forgotten for years, until they were found by a man named Kevin Dann, a Vermont historian, who began to bring them to light. And although it's easy to dismiss this as a single blight in U.S. history, the sad truth is that more than half the states in America had, at some point, a sterilization law on the books. What was the end result of the eugenics project? What happened to the prominent men who were conducting them? What happened to the families who were subjected to this? After Hitler came into power and the worst-case-scenario of eugenics moved into the spotlight, American eugenicists no longer commanded the same sort of attention they had before. Money disappeared, and projects died out. The prominent men and women who were involved went back to teaching, or grew famous in offshoot capacities (i.e. Margaret Sanger and her work with birth control). Eventually in the 1960s and 70s the ACLU was successful in repealing many of the sterilization laws still on state books, or changing the language so that the rights of the individual were protected more fully. Of late, several states have formally apologized to the victims of the eugenics legislature. In Vermont, no one ever apologized. And because northern New England is one of those places where people don't tend to move around very much, the descendents of both the leaders of the eugenics project and the victims of the eugenics project still live in close proximity. Some families of the scientists feel shame as well as anger, since their relatives are often portrayed as evil megalomaniacs, when that was not the case. Some families of the Abenaki are resigned and bitter, and prefer not to open up a wound that still smarts. For these reasons, and many others, it has been easier for both groups to sweep what happened under the proverbial carpet, rather than to bring it out into the open. Is the Abenaki Indian tribe, which features prominently in the story, a real Vermont tribe? What is their story? Oh, yeah, the Abenaki exist! Thousands of years ago, they covered the area from northwest Vermont to the southeast, as well as parts of western Massachusetts, bits of New Hampshire, and some of Quebec. Their name, Abenaki, means 'people of the dawn.' At one point they numbered 40,000; now there are about 2500 left. The interesting thing about the Abenaki, historically, is that they didn't have a central authority. In war times, they'd leave their villages in small groups, and reband somewhere else to plan an attack. They got very proficient at going underground, as it were, in order to save themselves. And this is exactly what they did years later when they became targets of the eugenics project. Unlike white folks, some of them had migratory lifestyles and didn't even live in houses. Some of them chose not to be married in a Christian church. Their kids didn't always go to public school, and didn't dress 'normally.' They seemed to get thrown into jail a lot (a cyclical thing, since the reason they were arrested was because they weren't behaving the way a 'white man' should.) It was their difference as a cultural group - their 'otherness' - that led the eugenicists to believe they didn't fit the picture-postcard image of Vermont although, of course, the Abenaki had been there first. When the eugenicists started rounding up some of these alleged degenerates, the Abenaki did what they had always done well - they split up and resurfaced in white clothes, doing white jobs, marrying whites so that they'd have white surnames… and being 'Indian' behind closed doors. They did what they had to to keep their entire cultural tradition from being wiped out by the eugenics project. However, this behavior cost them dearly. Today, they are not federally recognized as a tribe - which would net them funds to do things like buy back land they feel is a burial ground - because they do not have a continuous, unbroken line of native history. Their survival tactics during the eugenics project of the 20s and 30s, meant to keep their traditions alive, ironically has turned them into ghosts whose collective voice cannot be heard. Of all the things I learned about the eugenics project, this seemed to me the saddest. I'm not Abenaki, and it's always a little daunting to write about a people when you're not a member of the group. I was at the University of Vermont doing an event while I was working on Second Glance, and an audience member asked me about my book-in-progress. When I finished talking about it, a woman stood up. She was Abenaki, and she was crying. 'Thank you,' she said, 'for telling this story.' I know not every Abenaki will feel that way about Second Glance, but I would hope that they find I have addressed this very painful chapter of their history with respect. In addition to your intensive research into this period of Vermont history, you also conducted a lot of research in ghost-hunting or paranormal activity. Is ghost-hunting for real? Did you actually go on a ghost hunt? Like I said, the ghost story element came first. And to tell you the truth, I thought I might be able to fudge some of the ghost stuff, instead of being the research guru I tend to be. But then I realized I would indeed hear from every reader in the country who has seen a ghost to tell me I got it all wrong, and I decided I'd try to find someone who could, with authority, tell me about ghost hunting. I looked on the Internet, and found the Atlantic Paranormal Society, and left an email for each of the founders. I figured it might take a while to find someone who believed in ghosts, but no, I had responses from all of the guys within hours. Jason Hawes and Grant Wilson were more than happy to speak to me about paranormal investigation. They suggested that I come down to Rhode Island, where they are based, so that they could take me out on a ghost hunt. This was particularly interesting. I mean, here I was telling my children at night there's no such thing as ghosts… but dressing in black and heading out to an abandoned New England mental institution in the dead of a January night with a bunch of paranormal investigators. The building was boarded up - it had been the pool room, and I could see the empty inground pool full of leaves and debris. In the background, too, I saw what looked like fireflies - something the paranormal investigators said were globules, or energy changing form. Afterward, we walked across a field where one of the buildings had burned to the ground, with patients inside. I was walking with a sensitive (someone who can 'feel' ghosts). It was very cold out, and very clear, and our breath was visible in front of us. Suddenly all the hair stood up on the back of my neck. Before I could even mention this to my walking buddy, he lifted a digital camera and held it up between us backward, over our shoulders. This is the picture he took - What do you see here? Now, it's important to remember a) our breath was in front of us and b) there was no one and nothing behind us. This is just what showed up in the camera. A ghost hunter will tell you that sometimes, ghosts can affect film or digital photography because of heat or magnetic energy. From here we went on a real, live, ghost hunting call. 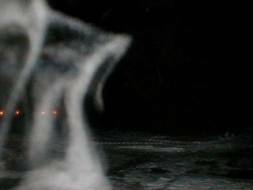 A couple just over the border in Massachusetts had - they thought - a ghost. They wanted TAPS to come confirm it. What truly impressed me about this group was that they made fun of themselves plenty - Ghostbusters jokes abounded - and they didn't charge their 'clients.' No one, they believed, should be penalized for having a ghost; in my mind, it meant they weren't out to find something just for the money. The house was small, and the bumps and thumps the inhabitants had heard were in the attic, a small third-floor room with a little door and a padlock. The TAPS guys gave me the only key, and then set a video camera up in the middle of the attic. Often this way they will catch something - more globules, noise, voices. The attic was swept absolutely clean, there was nothing paranormal to be seen. I was the last one out of the room, and I padlocked it behind me, then slipped the key into my pocket. As the others went downstairs to talk, I checked in the bedrooms of the couples' two children - both sleeping comfortably in cribs, in rooms that were completely clean and orderly. Downstairs, the couple described hearing calliope music at 2 AM, only to find a child's toy piano on the attic stairs. Coming home and finding all the faucets running or the cereal boxes knocked out of the cabinets, contents spilled. Rooms that got, suddenly, twenty degrees colder. After listening for a while, I said I was going back upstairs. Again, I ducked into the room of the first child. Now, lining the carpet on the edge of the crib, there were six pennies that had not been there before, all dated between 1968 and 1972. I picked them up and put them in my pocket and went into the next child's room to find the same thing - six pennies, all dated between those years. Finally I went to the attic, took out the key, unlocked the padlock, and flipped on the lights to find a handful of pennies beneath the video camera, all dated between 1968 and 1972. I can't tell you that there was a ghost there, but I can tell you that if you look in your wallet, you'll be hard pressed to find a single penny with that date on it, much less thirty. So, we have to ask, do you believe in ghosts now? I believe there is a lot in this world we don't understand. And that seeing ghosts is often an all or nothing thing - people don't believe until they see one, and then - bam! - they're convinced. Did I see Casper? Nope. But I did see things I could not reasonably explain, and that leads me to believe that ghosts are certainly possible. One of the most enjoyable parts of writing Second Glance was exploring the nature of belief. We're predisposed to think that if there isn't scientific proof, something doesn't exist… but as I pointed out earlier, science isn't always right… and proof can't always be measured in a beaker or a lab test. People say you can't believe in a ghost, because you can't see it or touch it or capture it. By that criteria, though, those people have to say that love doesn't exist, either… and yet most of us have experienced that in some form or another. SECOND GLANCE is a deft example of mixing fact with fiction and the present with the past. How did you so smoothly combine these elements in this novel? When you write something with any sort of historical relevance there is such an awesome responsibility attached to it, a driving need to get it one hundred percent accurate. But in this case, especially, the theme of history repeating itself made diving into the past absolutely necessary. I had a very hard time deciding whether or not to use the names of some of the real players in the eugenics project - like Harry Perkins, for example. He exists in the book, but as a character who is talked about and never met. The main cast is all imaginary, so that their issues and tangles and choices come from my imagination. Of all my books, this was the most technically difficult to write. It felt like I was performing brain surgery - setting up all these open plugs in the first part so that I could join them to their resolutions in the last part. There are so many twists and turns in Second Glance, and that was tough to pull off, because when you write about history there's a sense of inherent closure and expectation. You read the book, and you think you know what's coming… but in fact, you don't. As Second Glance opens, the town of Comtosook begins experiencing bizarre weather occurrences such as rose petals raining from the sky, and the ground freezing in August. What is the symbolic relevance of these occurrences? Ross has no desire to live, yet can't seem to die. Ethan, on the other hand, wants to live a long life yet was born with a genetic illness that will likely result in an early death. What is the one major thing they share in common, despite this difference? Why might Lia have appeared to Ross, a stranger to her, as opposed to anyone else? Why does Ross feel such a strong obligation to help Lia, a woman he barely knows? What is the thematic relevance of Ethan's affliction with xeroderma pigmentosum? How would you explain Shelby's love of words and her superior command of the English language? In what way do Ross's struggles parallel Shelby's? How does Meredith's work closely parallel the work of Spencer Pike and his father-in-law, Harry Beaumont? Is her work more admirable, or is this a case of history repeating itself? When leaving work and faced with a group of pro-life picketers, Meredith “wished she could explain to them that there were some sorts of lives that were not worth living. That it was not cruel to be the judge of that, but humane.” Do you agree, or disagree? Does Meredith feel strongly about this, or do you think she struggles with this belief? How does his investigation into Cissy Pike's death effect a change in Eli? When Ross first arrives in Comtosook, he accidentally loses his dead fiance's engagement ring. Much later, Shelby mysteriously finds it in Eli's bed the first time they are together. What is the significance of this? What is the symbolic relevance of Angel Quarry? Why does Az bury the evidence of the Vermont Eugenics Project, instead of letting the world know the truth about what happened to his people, the Abenaki? Do you believe that through knowledge and education, we can prevent history from repeating itself? Or is it beyond our control? Skeptics of the paranormal claim the existence of a ghost when it can't be proven scientifically. Yet Second Glance spotlights a period of history where science itself turned out to be unreliable. What do you think the author was trying to suggest in this contrast? In what ways is the title, Second Glance, appropriate for this novel? He fell asleep at the wheel and drove his car off a bridge into a lake– that was the second time– and was found on the shore by rescuers. When his half– sunken Honda was recovered, the doors were all locked, and the tempered glass windows were shattered like spider webs, but still intact. No one could figure out how he’d gotten out of the car in the first place, much less survived a crash without even a scratch. The third time, Ross was mugged in New York City. The thief took his wallet and beat him up, and then shot him in the back and left him for dead. The bullet — fired close enough to have shattered his scapula and punctured a lung — didn’t. Instead it miraculously stopped at the bone, a small nugget of lead that Ross now used as a keychain. The first time was years ago, when Ross had found himself in the middle of an electrical storm. The lightning, a beautiful blue charge, had staggered out of the sky and gone straight for his heart. The doctors told him that he had been legally dead for seven minutes. They reasoned that the current could not have struck Ross directly, because 50,000 amperes of current in his chest cavity would have boiled the moisture in his cells and quite literally made him explode. Instead, the lightning had hit nearby and created an induced current in his own body, one still strong enough to disturb his cardiac rhythm. The doctors said he was one hell of a lucky man. Now, as Ross walked up the pitched wet roof of the O’Donnell’s Oswego home in the dark, he did not even bother with caution. The wind coming off Lake Ontario was cold even in August, and whipped his long hair into his eyes as he maneuvered around the gabled window. The rain bit at the back of his neck as he worked the clamps onto the flashing and positioned the waterproof video camera so that it was pointing into the attic. His boots slipped, dislodging some of the old shingles. On the ground, beneath an umbrella, O’Donnell squinted up at him.”Be careful,”the man called out. Ross also heard the words he did not say: We’ve got enough ghosts. But nothing would happen to him. He would not trip; he wouldn’t fall. It was why he volunteered for the riskiest tasks; why he put himself into danger again and again. It was why he’d tried bungee jumping and rock climbing and crack cocaine. He waved down to Mr. O’Donnell, indicating that he’d heard. But just as Ross knew that in eight hours, the sun would come up– just as he knew that he’d have to go through the motions for another day– he also knew he couldn’t die, in spite of the fact that it was what he wanted, more than anything. The baby woke Spencer Pike, and he struggled to a sitting position. In spite of the nightlights kept in every room at the Shady Pines Nursing Home– nearly enough combined wattage, he imagined, to illuminate all of Burlington, Vermont– Spencer couldn’t see past the foot of his bed. He couldn’t see anything these days, thanks to the cataracts; although sometimes he’d get up to take a leak and in the mirror, as he passed by, he would catch a glimpse of someone watching him– someone whose brow was not spotted and yellow; someone whose skin was not sighing off his bones. But then the young man Spencer had once been would disappear, leaving him to stare at the crumbs that were left of his life. His ears, though, were sharp. Unlike the other sorry old morons in this place, Spencer had never needed a hearing aid. Hell, he heard things that he didn’t even care to. Why, Spencer wondered, did she talk to him as if he were a child? And why did he react like one– sinking back beneath her gentle hands, letting her pull the covers up to his chest? A memory swelled at the base of Spencer’s throat, something that he could not quite pull to the front of the fog but that brought tears to his eyes.”Do you need some Naproxen?”the nurse asked kindly. Spencer shook his head. He had been a scientist, after all. And no laboratory had yet crafted the drug that could ease this ache. In person, Curtis Warburton was smaller than he seemed to be on television, but he lacked none of the magnetism that had made Bogeyman Nights the highest– rated show in its time slot. His black hair was shot, skunk– like, with a white streak– one he’d possessed since a night nine years ago, when the ghost of his grandfather had appeared at the foot of his bed and led him into the field of paranormal investigation. His wife Maylene, an elf of a woman whose psychic abilities were well known to the Los Angeles police, perched beside him, taking notes as Curtis posed questions to the owners of the house. “Mrs. O’Donnell, you’re not going crazy.”Curtis touched her hand with trademark sympathy.”By tomorrow morning we’ll have a better idea of what’s going on in your home.”He looked over his shoulder to make sure Ross was getting this on camera. Depending on what happened later, the O’Donnell’s might find themselves featured on Bogeyman Nights, and if so, this footage was critical. The Warburtons received over 300 emails a day from people who believed their houses were haunted. Eighty– five percent of the claims turned out to be hoaxes or mice in the rafters. The rest– well, Ross had been working with them long enough to know there were some things that simply could not be explained. “Our bedroom will be hot as hell one minute, and then we’ll be shivering the next,”Harlan answered. As the Warburtons’ field researcher, Ross had been sent to libraries and newspaper archives to locate documents about the property– and hopefully the bonus information that a murder or a suicide might have occurred there. His inquiry had turned up nothing, but that never stopped Curtis. After all, a ghost could haunt a person as well as a place. History could hover, like a faint perfume or a memory stamped on the back of one’s eyelids. That was Ross’s cue. During the investigation, he was responsible for setting up and monitoring the electromagnetic equipment, the digital video cameras, the infrared thermometer. He worked for minimum wage, in spite of the money that came in from the TV show and from cases like this one. Ross had begged the Warburtons for a job nine months ago after reading about them in the L.A. Times on Halloween. Unlike Curtis and Maylene, he had never seen a spirit– but he wanted to, badly. He was hoping that sensitivity to ghosts might be something you could catch from close contact, like chicken pox– and, like chicken pox, might be something that would mark you forever. “I thought I’d check the attic,”Ross said. “The ghost?”Ross asked, turning, but Eve had already fled down the stairs. Taking a deep breath, he closed the door to the attic and shut the light, plunging the small room into blackness. He stepped off to the side where he would not be in range of the video camera, and activated it with a remote control. Then he fixed his attention on the darkness around him, letting it press in at his chest and the backs of his knees, as Curtis Warburton had taught him. Ross cracked open his senses until the lip of disbelief thinned, until the space around him bloomed. Maybe this is it, he thought. Maybe the coming of ghosts feels like a sob at the back of your throat. Comtosook, Vermont was a town marked by boundaries: the dip where it slipped into Lake Champlain, the cliffs that bordered the granite quarry where half the residents worked, the invisible demarcation where the rolling Vermont countryside became, with one more step, the city of Burlington. On the congregational church in the center of town hung a plaque from Vermont Life magazine, dated 1994, the year that Comtosook was lauded as the most picture– perfect hamlet in the state. And it was– there were days Eli Rochert looked at the leaves turning, rubies and amber and emeralds, and he simply had to stop for a moment and catch his breath. But whatever Comtosook was to tourists, it was Eli’s home. It had been, forever. He imagined it always would be. Of course, as one of the two full– time police officers in the town, he understood that what the tourists saw was an illusion. Eli had learned long ago that you can stare right at something, and not see what lies beneath the surface. He drove along Cemetery Road, his usual patrol haunt on nights such as this, when the moon was as beaded and yellow as a hawk’s eye. Although the windows were rolled down, there wasn’t much of a breeze; and Eli’s short black hair was damp at the nape of his neck. Even Watson, his bloodhound, was panting in the seat beside him. Old headstones listed like tired foot soldiers. In the left corner of the cemetery, near the beech tree, was Comtosook’s oddest gravestone. WINNIE SPARKS, it read. BORN 1835. DIED 1901. DIED 1911. Legend had it that the irritable old woman’s funeral procession had been en route to the cemetery when the horses reared and her coffin fell out of the wagon. As it popped open, Winnie sat up and climbed out, spitting mad. Ten years later when she died– again– her long– suffering husband hammered 150 nails to seal the lid of the coffin, just as a precaution. Whether it was true or not didn’t much matter to Eli. But the local teens seemed to think that Winnie’s inability to stay dead was good enough reason to bring six– packs and pot to the cemetery. Eli unfolded his long body from the truck.”You coming?”he said to the dog, which flopped down on the seat in response. Shaking his head, Eli slipped through the cemetery until he reached Winnie’s grave, where four kids too wasted to hear his footsteps were huddled around the blue– fingered flame of a Sterno burner. “Damn!”There was a scuffle of sneakers, the ping of bottles clinking together as the teens scrambled to get away. Eli could have had them at any moment, of course; he chose to let them off this time. He turned the beam of his flashlight onto the last of the retreating figures, then swung it down toward the mess. They left behind a faint cloud of sweet smoke and two perfectly good unopened bottles of Rolling Rock that Eli could make use of when he went off– duty. Bending down, he pulled a dandelion from the base of Winnie’s headstone. As if the motion had dislodged it, a word rolled into his mind: chibaio… .ghosts. His grandmother’s language, which burned on Eli’s tongue like a peppermint.”No such thing,”he said aloud, and walked back to the car to see what else this night might hold in store. Shelby Wakeman had awakened exhausted after a full day’s sleep. She’d been having that dream again, the one where Ethan was standing beside her in an airport, and then she turned around to find that he’d disappeared. Frantic, she’d run from terminal to terminal looking for him, until at last she flew out a door onto the Tarmac and found her nine– year– old standing in the path of an incoming jet. It terrified her, no matter how often Shelby told herself that this would never happen– she’d never be in an airport with Ethan in the middle of the day, much less lose sight of him. But what frightened her most was that image of her son standing with his arms outstretched, his buttermilk face lifted up to the sun. She nodded, and watched Ethan explode into the front yard. No matter how many times she told him to be quiet– at 4 A.M., most people were asleep, not racing around on skateboards– Ethan usually forgot, and Shelby usually didn’t have the heart to remind him. Ethan had XP, xeroderma pigmentosum, an incredibly rare inherited disease that left him extremely sensitive to the sun’s ultraviolet rays. In the world, there were only a thousand known cases of XP. If you had it, you had it from birth, and you had it forever. Shelby had first noticed something was wrong when Ethan was six weeks old, but it took a year of testing before he was diagnosed with XP. Ultraviolet light, the doctors explained, causes damage to human DNA. Most people can automatically repair that damage… but XP patients can’t. Eventually the damage affects cell division, which leads to cancer. Ethan, they said, might live to reach his teens. By the time they were divorced, Shelby had learned about light. She knew that there was more to fear than just the outdoors. Grocery stores and doctor’s offices had fluorescent fixtures, which were ultraviolet. Sunblock became as common as hand cream, applied inside the house as well as out. Ethan had twenty– two hats, and he donned them with the same casual routine that other children put on their underwear. Tonight he was wearing one that said I’m With Stupid. The brim was curled tight as a snail, a shape Ethan cultivated by hooking the lip of the hat beneath the adjustable band in the back. When Shelby saw the caps being stored that way, she thought of swans tucking their heads beneath a wing; of the tiny bound feet of the Chinese. “Jeez. Whatever.”And he was gone again in a rumble of wheels. Inside, Shelby smiled. She loved the attitude that seemed to be creeping into Ethan’s personality, like a puppeteer throwing words into his mouth. She loved the way he turned on Late Night with Conan O’Brien when he thought she was somewhere else in the house, to try to catch all the innuendoes. It made him… well, so normal. If not for the fact that the moon was riding shotgun overhead, and that Ethan’s face was so pale the veins beneath his skin glowed like roads she knew by heart– if not for these small things, Shelby could almost believe her world was just like any other single mother’s. Ethan executed a shifty pivot, and then a Casper big spin. There was a time, Shelby realized, when she couldn’t have distinguished a helipop from a G– turn. There was also a time Shelby would have looked at Ethan and herself and felt pity. But Shelby could hardly remember what her existence had been like before this illness was flung over them like a fishing net; and truth be told, any life she’d lived before Ethan could not have been much of a life at all. “Two.”Without waiting for agreement– she would concede, and they both knew it– Ethan sped off again. Shelby cracked open her novel, the words registering like cars on a freight train – a stream without any individual characteristics. She had just turned the page when she realized Ethan’s skateboard was no longer moving. It did, quite often, in Vermont. But not in August. A white swirl tipped toward her book and caught in the wedge of the spine; but it was not a snowflake after all. She lifted the petal to her nose, and sniffed. Roses. Shelby had heard of strange weather patterns that caused frogs to evaporate and rain down over the seas; she’d once seen a hailstorm of locusts. But this… ? The petals continued to fall, catching in her hair and Ethan’s.”Weird,”he breathed, and he sat down beside Shelby to witness a freak of nature. The two men walked downstairs. Maylene sat on the living room couch in the dark with an infrared thermometer “You get anything?”Curtis asked. “How is it going?”Eve O’Donnell interrupted. She stood at the doorway of the living room, her hand clutching the collar of her robe. Ross felt the charge of the air as Eve O’Donnell lay her trust at Curtis’s feet. Ross found himself rooted to the floor. He had been trained to consider the fact that 85% of the cases they investigated were hoaxes perpetrated by people who either wanted to waste their time, or get on national TV, or prove that paranormal investigation was anything but a science. He couldn’t count how many times they’d found a speaker hidden in the moaning wall; fishing line wrapped around a quaking chandelier. But he’d never considered that the Warburtons might be putting on a show, too. Ross couldn’t answer. For all he knew, Curtis had managed to slip the penny he’d found beneath the tripod, too. For all he knew, the past nine months of his life had been wasted. He was no better than the O’Donnells– he’d only seen what he wanted to believe. Ross stepped into the driving rain and started walking. Let them think what they wanted; they’d certainly encouraged Ross to do the same. He didn’t bother to return for his digital camera or his knapsack; these were things he could replace, unlike his composure, which he was fast in danger of losing. In his car he turned the heater on full blast, trying to get rid of the chill that wouldn’t let go. He drove a mile before he realized that his headlights weren’t on. Then he pulled off to the side of the road and took great, gulping breaths, trying to start his heart again. Ross knew how to scientifically record paranormal phenomena and how to interpret the results. He had filmed lights zipping over graveyards; he had taped voices in empty basements; he had felt cold in spots where there could be no draft. For nine months, Ross had thought he’d found an entrance to the world where Aimee was… and it turned out to be a painted door drawn on a wall. Damn it all, he was running out of ideas. Az Thompson awoke with his mouth full of stones. Small and smooth as olive pits, he spat fifteen into the corrugated leather of his palm before he trusted himself to breathe without choking. He swung his legs over the side of the army cot. He tried to shake the certainty that if buried in the packed earth beneath his bare feet, these rocks would grow into some cancerous black thicket, like the ones covering the castle in that White Man’s fairytale about a girl who couldn’t wake up without being kissed. He didn’t mind camping out; for as long as he could remember he’d had one foot in nature and one foot in the yanqi world. Az stuck his head out the flap of the tent, where some of the others had already gathered for breakfast. Their signs– placards to be worn around the neck, and picket posters tacked onto wood– lay in a heap like ventriloquist’s dummies, harmless without some spirit behind them.”Kwai,” he grunted, and walked toward the small campfire, knowing that a space would be made for him. The others treated him the way they would if Abe Lincoln got up and walked out of that tent– with humility, and no small amount of awe, to find him alive after all this time. Az wasn’t as old as Abe, but he wasn’t off by much. He was 102 or 103– he’d stopped counting a while ago. Because he knew the dying language of his people, he was respected as a teacher. Still, his age alone made him a tribal elder, which would have been something, had the Abenaki been a federally recognized tribe. Az heard the creak of every joint in his spine as he settled himself on a folding chair. He grabbed a pair of binoculars from beside the fire pit and peered at the land, a parcel located at the northwesterly intersection of Montgomery Road and Otter Creek Pass. At its crest sat the big white house, now an eyesore. It would be the first thing to go, Az knew, just like he knew everything about this property, from the surveyor’s measurements to the recorded number of the deed plan. He knew the spots where the ground froze first in the winter and the section where no vegetation ever managed to grow. He knew which window in the abandoned house had been broken by kids running wild; which side of the porch had fallen first; which floorboards on the stairs were rotted through. He also knew the license plate numbers of every vehicle the Redhook Group had parked on the perimeter. Rumor had it that Newton Redhook wanted to build himself Comtosook’s first strip mall. On one of their burial sites. Az looked around, noticing the light dusting of flower petals all over the ground. He rolled his tongue across the cavern of his mouth, tasting those stones again.”What do you think, Az?”Winks asked. This was how Ross proposed to Aimee: A year later he paid a cab driver to take them past Broadway and 112th en route to dinner at a restaurant. As instructed, the man pulled to the curb, and Ross opened the door and got down on one knee on the filthy pavement. He popped open the small ring box and stared into her electric eyes.”Marry me,”he said, and then he lost his balance and the diamond fell down a sewer grate. Ross looked down the black grate, and at the empty box. He tossed it into the sewer, too. Then he pulled another ring, the real ring, from his pocket.”Give me a second chance,”he said. Now, in a deserted parking lot, he tipped the bottle up to drink. Sometimes Ross wanted to scratch himself out of his skin, to see what was on the other side. He wanted to jump off bridges into seas of concrete. He wanted to scream until his throat bled; to run until his soles split open. At times like this, when failure was a tidal wave, his life became a finite line– the end of which, through some cosmic joke, he could not seem to reach. Ross contemplated suicide the way some people made out shopping lists– methodically, with great attention given to detail. There were days when he was fine. And then there were other days when he took census counts of people who seemed happy, and those who seemed in pain. There were days when it made perfect sense to drink boiling water, or suffocate in the refrigerator, or walk naked into the snow until he simply lay down to sleep. Ross had read of suicides, fascinated by the creativity– women who looped their long hair around their own necks to form a rope, men who mainlined mayonnaise, teenagers who swallowed firecrackers. But every time he came close to testing a beam for the weight it would hold, or drew a bead of blood with an X– acto knife, he would think of the mess he’d leave behind. He didn’t know what death held in store for him. But he knew that it wouldn’t be life, and that was good enough. He had not felt anything since the day Aimee had died. The day when, like an idiot, he had chosen to play the hero, first dragging his fiance from the wreckage and then going back to rescue the driver of the other car moments before it burst into flames. By the time he’d returned to Aimee, she was already gone. She’d died, alone, while he was off being Superman. Some hero he had turned out to be, saving the wrong person. “Give me a second chance,”Ross said aloud now, each word as thick as a fist. He threw the empty bottle onto the floor of his Jeep and put the car into gear, tearing out of the parking lot like a teenager. There were no cops around– there never were, when you needed them– and Ross accelerated, until he was doing more than eighty down the single– lane divided highway. He came to a stop at the railroad bridge, where the warning gate flashed as its arms lowered, slow as a ballerina. He emptied his mind of everything except inching his car forward until it broke the gate, until the Jeep sat as firm on the tracks as a sacrifice. The train pounded. The tracks began to sing a steel symphony. Ross gave himself up to dying, catching a single word between his teeth before impact: Finally. The sound was awesome, deafening. And yet it moved past him, growing Doppler– distant, until Ross raised the courage to open his eyes. His car was smoking from the hood, but still running. It hobbled unevenly, as if one tire was low on air. And it was pointed in the opposite direction, heading back from where he’d come. There was nothing for it: with tears in his eyes, Ross started to drive. Rod van Vleet wasn’t going home without a signed contract. In the first place, Newton Redhook had left him responsible for securing the nineteen acres that comprised the Pike property. In the second place, it had taken over six hours to get to this nursing home in Nowhere, VT, and Rod had no plans to return here in the immediate future. “Well. Maybe you could take a vacation. You and a nurse.”Rod smiled at the woman standing behind Pike, her arms crossed. The only gas station in Comtosook was attached to the general store. Two pumps from the 1950s sat in the parking lot, and it took Rod a good five minutes to realize there simply was no credit card slot. He stuck the nozzle of the pump into his gas tank and pulled out his cell phone, hitting a preprogrammed number.”Angel Quarry,”answered a female voice. Rod held the phone away from his ear and cut off the call. He must have dialed wrong; he had been trying to reach the home office to let Newton Redhook know the first hurdle had been cleared. Frowning, he punched the buttons on the keypad again. “Well, you got the wrong number.”Click. Flummoxed, he stuffed the phone in his pocket and squeezed another gallon into his tank. Reaching for his wallet, he started toward the store to pay. Abe pointed to the corner of the porch, where an old phone booth tilted against the railing, right beside an old drunk who seemed disinclined to move aside. Rod dialed his calling card number, feeling the shopkeeper’s eyes on him the whole time.”Angel Quarry,”he heard, a moment later. He slammed down the receiver and stared at it. Abe swept once, twice, three times, clearing a path between Rod and himself.”Problem?”he asked. “Must be something screwed up in the phone lines.”Rod dug a twenty out of his wallet for the gas. Rod rolled his eyes. He was halfway back to the car by the time he recalled Spencer Pike’s comment about ghosts. He turned around to ask Abe about that, but the man was gone. His broom rested against the splintered porch rail; with each breeze, the neat pile of flower petals scattered like wishes. “Angel Quarry,”said the woman at the other end, as if he’d been the one to call; as if that made any sense at all. “Yeah, I’m coming,”Shelby muttered, as the raps on her front door grew louder. It was only 11 A.M. If this moron woke Ethan… She knotted her hair into a ponytail holder, tugged her pajamas to rights, and squinted against the sun as she opened the door. For a moment, backlit by the daylight, she didn’t recognize him. It had been two years since she’d seen Ross. They still looked alike– the same rangy build, the same intense pale eyes that people found it hard to break away from. But Ross had lost weight and let his hair grow long. And oh, the circles under his eyes– they were even darker than her own. “… Come here,”Shelby finished, and she folded her baby brother into an embrace. “Ethan’s going to need you,”Shelby corrected.”Once he finds out you’re here, you might as well forget about getting any rest.”She set a stack of towels on the end of the guest room bed and hugged him.”It goes without saying that you stay as long as you like.”He buried his face in the curve of her shoulder and closed his eyes. Shelby smelled like his childhood. Suddenly she drew back.”Oh, Ross,”she murmured, and slipped her hand beneath the collar of his shirt, pulling out the long chain that he kept hidden underneath. At the end hung a diamond solitaire, bright as a falling star. Shelby’s fist closed around it. Ross jerked away, and the chain snapped. He grabbed Shelby’s wrist and shook until she let go of the ring, until it was safe in his hand.”Don’t,”he warned, setting his jaw. “Don’t you think I know how long it’s been? Don’t you think I know exactly?”Ross turned away. Why was it no one spoke of how kindness can cut just as clean as a knife? When Shelby touched his arm, Ross didn’t respond. She didn’t force the issue. Just that one small contact, and then she backed her way out of the room. Shelby was right– he ought to sleep– but he also knew that wouldn’t happen. Ross had grown used to insomnia; for years it had crawled under the covers with him, pressed the length of his body with just enough restless indecision to keep him watching the digital display of a clock until the numbers justified getting out of bed. When he startled awake at 5:58, Ross could not believe it. He blinked, feeling better than he had in months. He swung his feet over the side of the bed and stood up, wondering if Shelby might have a spare toothbrush. It was the absence of the slight weight against his chest that reminded him of the ring. Ross opened his fist and panicked. The diamond he’d fallen asleep clutching was nowhere in sight– not under the covers, not on the carpet, not even behind the bed, which Ross moved with frantic haste. I’ve lost her, Ross thought, staring blankly at what he’d awakened holding instead: a 1932 penny– smooth as a secret; still warm from the heat of his hand.